This Zeiss Distagon T 35mm F/1.4 ZF.2 Lens for Nikon F Mount continues Zeiss tradition of optically superb lenses that are built to last–this very fast wide-angle 35mm lens offers all the traditional advantages of Zeiss optics: precise manual focusing with a large rotation angle, unparalleled control of glare and stray light to ensure brilliant images every time, an almost circular aperture that delivers a harmonious bokeh, and robust all-metal precision construction. And it’s all at the service of Nikon cameras with an F mount. 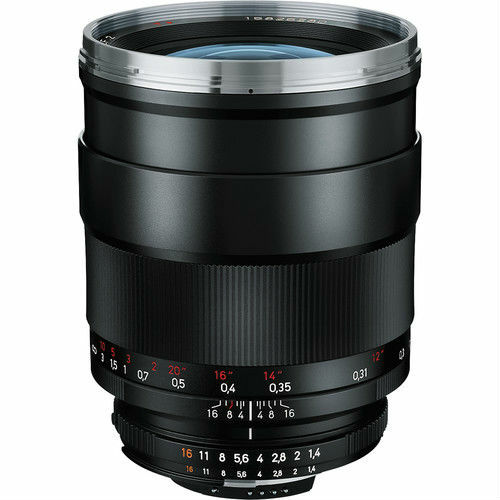 As with all Zeiss ZF.2 lenses, this lens comes equipped with AI-aperture coupling and CPU.